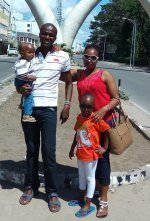 I live in Kenya and I have just come back from spending three months in Mombasa, exploring the coastline north and south of the city. 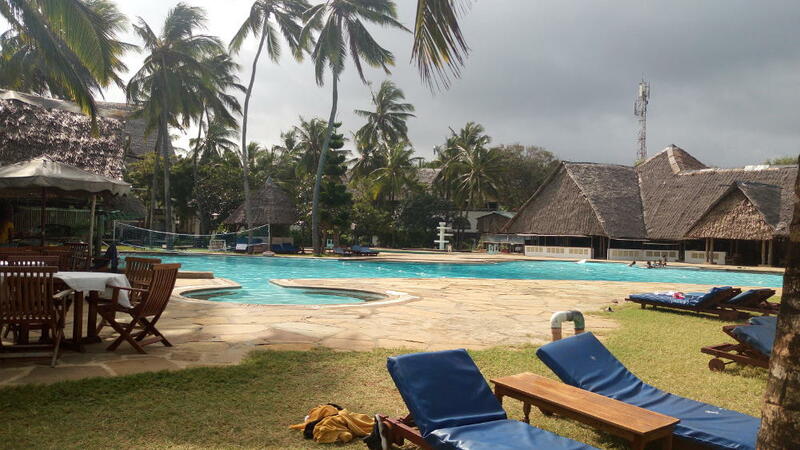 I visited hotels galore to bring you the best Malindi, Watumu and Mombasa Hotels - Kenyan hotels rated among the best in Africa. Some are in Mombasa itself, but many are a few hours drive away along Kenya's beautiful coastline. Only the best made our list; they didn't need to be luxurious, although some are, what was needed were hotels that offered a memorable experience and great value for your money. You won't find long lists here but be assured that none of these hotels are likely to disappoint. Most of the cheaper Mombasa hotels are located in downtown Mombasa. These areas have a vibrant nightlife with numerous night clubs and entertainment spots. The high numbers of hotels within Mombasa creates a competitive environment, giving you a wonderful opportunity to enjoy world class service at very low prices - especially during the off-peak season. 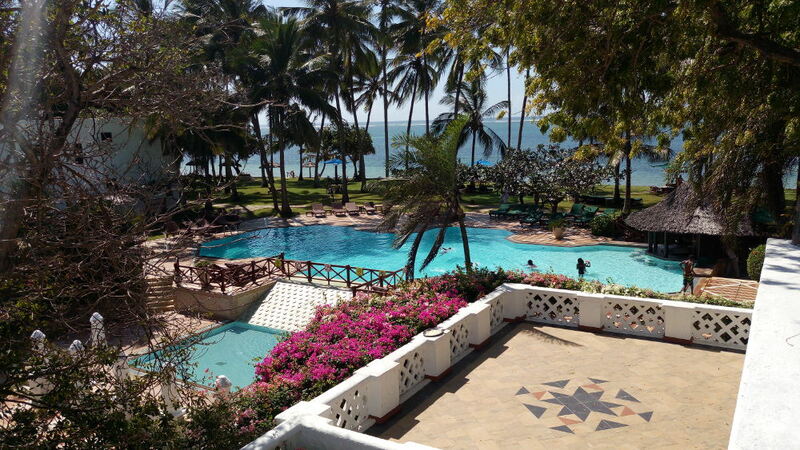 Set right on the gleaming white sands of Shanzu beach and overlooking the sparkling waters of Mombasa Marine Park, Mombasa Serena Beach Hotel Resort & Spa is a perfect retreat for a vacation. Read our review here. 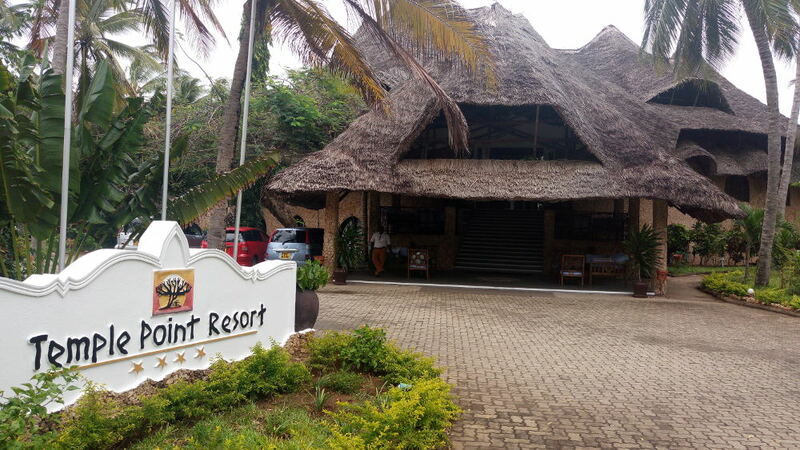 Voyager Beach Resort is one of the most popular and dynamic resorts in Mombasa, situated along the sparkling white sands of Nyali beach - for me this ship-themed resort is a must visit when you are in Mombasa. Surrounded by a lovely garden, it has a wonderful view of the ocean and offers a breathtaking atmosphere to unwind. Mashua Restaurant, Smugglers Cove & Minestrone Restaurant offer a wide culinary variety to ensure your stay is bliss. All the rooms (garden view, sea view and suites) have maritime themed decor enhancing the sheer wonderfulness of coastal Kenya. The Resort has three swimming pools, each with a different feel, a pool bar, live music, a supervised kid's club, comedy & acrobatic shows. Definitely enough to keep even the most demanding of kids, and parents, busy for weeks! 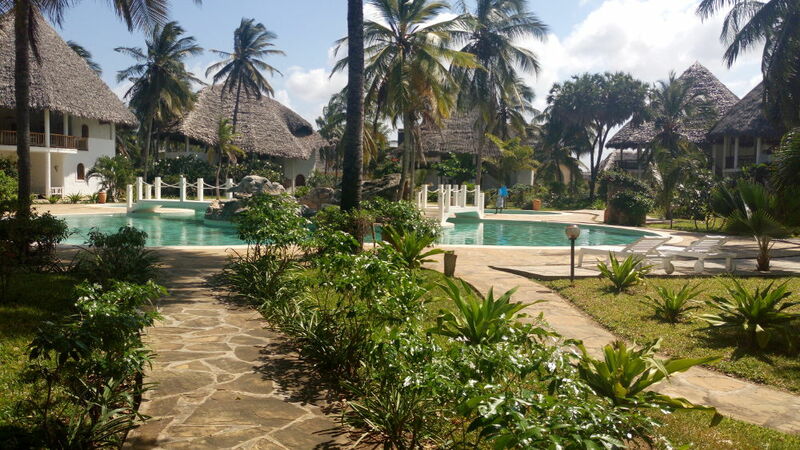 Set in a lavish tropical garden next to Bamburi Beach, Bamburi Beach Hotel is unique and stylish hotel. It features a wide variety of amenities and refreshment facilities to ensure your fun options are unlimited. Such amenities include two outdoor swimming pools, 3 restaurants, and 4 bars/lounges - each of which each offers a unique feel. Nearby is the Mombasa Marine Park, Bamburi Nature trail, and a shopping center. Bamburi beach has a number of venders and hawkers selling traditional artifacts, others offering boat rides. Though they may seem to be overly persistent, they are kind and very jovial… If you don’t like the hustle of hawkers, the hotel has an extended overhead balcony by the beach with several sun beds and parasols where you can relax peacefully. Located within the city centre along Haile Selassie Avenue, Royal Court Hotel is a classy and affordable hotel in Mombasa. Featuring an 8-story building and modern architecture, Royal Court Hotel combines simple elements and friendly hospitality. Fully air-conditioned rooms offer a cool haven from the crushing Mombasa sun and they are fitted with all modern amenities. A roof top restaurant serves amazing African and Indian foods with a stunning panoramic view of Mombasa town and the ocean beyond… the pool bar adds to the idyllic ambiance. If you like to gamble there's an in-house casino while for some more varied nightlife there are plenty of entertainment spots near the hotel - they'll gladly advise you of all the "in" places and the best ways to get there. 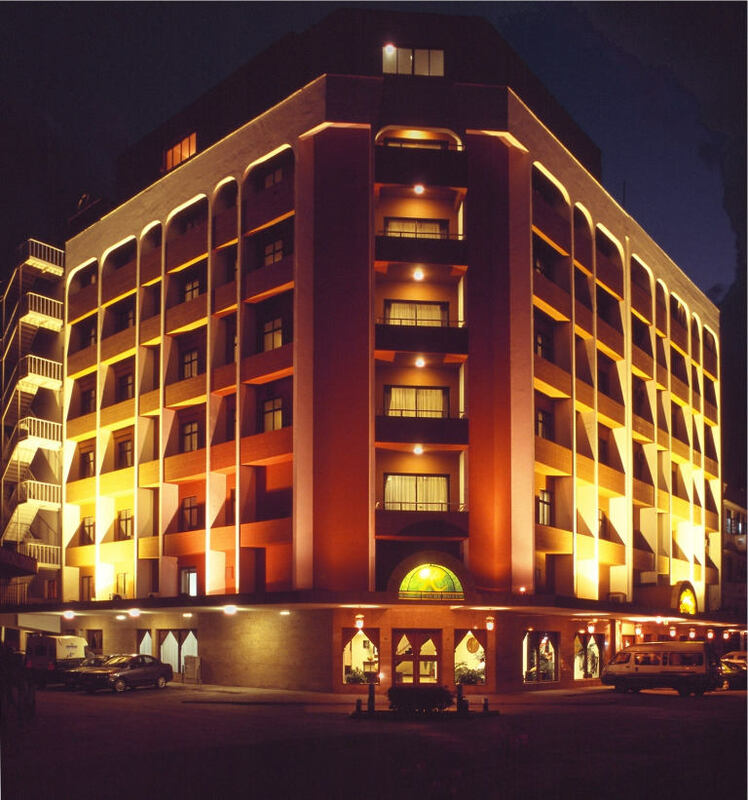 Reef Hotel Mombasa is a popularly known for its lively entertainment facilities and relaxing ambiance. Located in extensive tropical gardens looking on to the endless sands of Nyali beach and the Indian Ocean, Reef Hotel is a budget friendly hotel. Featuring three Bars, two restaurants, three swimming pools and a private beach, Reef Hotel is a great place to chill out and enjoy the day, have fun, eat, drink and socialize in a relaxed atmosphere. You don’t have to be a hotel guest to enjoy all its amenities… its open to day and night visitors as well. Situated on the south coast of Kenya in an indigenous coastal forest, where palm-fringed gardens overlook the beautiful and famous Diani Beach; this is a location that is both magical and breathtaking. There are plenty of room options to choose from ranging from amazing beachside cottages, ocean view rooms and forest view rooms. Forest view rooms gives you unique views of a forest full of monkeys and birds, while the ocean view rooms offer a panoramic view of beach and sea through the palm trees. If you like sports, there are a number of options including: golf, horse and camel riding and water sports. Guided nature walks through the forests are possible too. Enjoy magical moments as well at their stylish and private sister resort - The Sands at Chale Island… a hidden paradise gem in the Indian ocean and a perfect romantic getaway. Located on the edge of the gorgeous white sands of Diani Beach, Diani Sea Lodge is a budget accommodation option providing simple accommodation for your beach vacations in Kenya. The hotel is set in a colorful expansive tropical garden where various birds and monkeys have as much fun as you. Managed by the same group of hotels, the Plan Hotel Hospitality Group, Diamonds Dream of Africa and Sandies Tropical Village are sister hotels but very unique and different. Both are situated along the silver sand shores of Malindi but separated by a fence. Diamonds Dream of Africa is a five star hotel set in a quiet, serene and scenic environment. It’s themed for people who want privacy and a quiet romantic ambiance. Its rooms are junior suites and major suites, all well furnished with Italian furniture, jacuzzi baths and private terraces with comfortable Balinese sun loungers. For total relaxation the Mvua African Rain Spa is a must - thrilling and magical, a balanced oasis to calm the body, mind and senses. The main restaurant serves mostly Italian cuisine and other international foods but if you want something different you will always be able to get it. “Spa Night” is one of their special weekly rooftop dinners served alongside the spa pool and illuminated by incredible coloured lights… it is just spectacular. 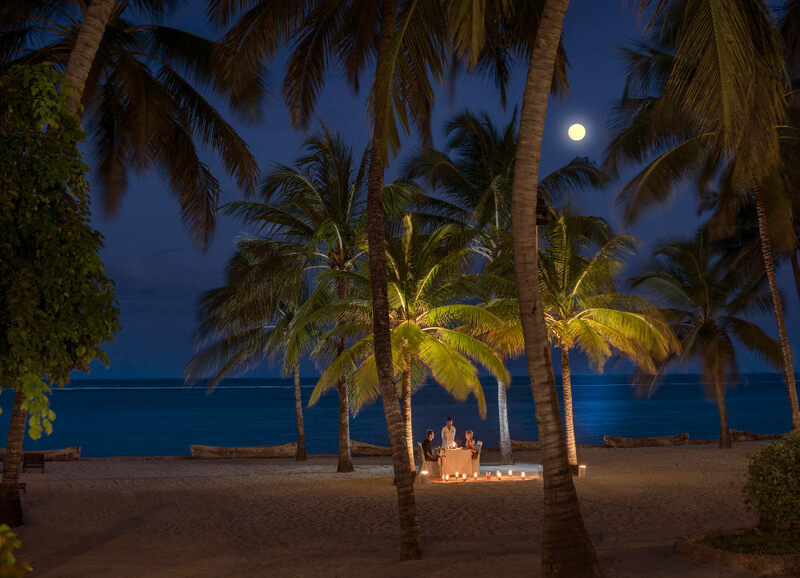 Our Tip: If you would like a more special romantic dinner for two, I recommend you try their candle light dinner on the beach… it’s amazing. 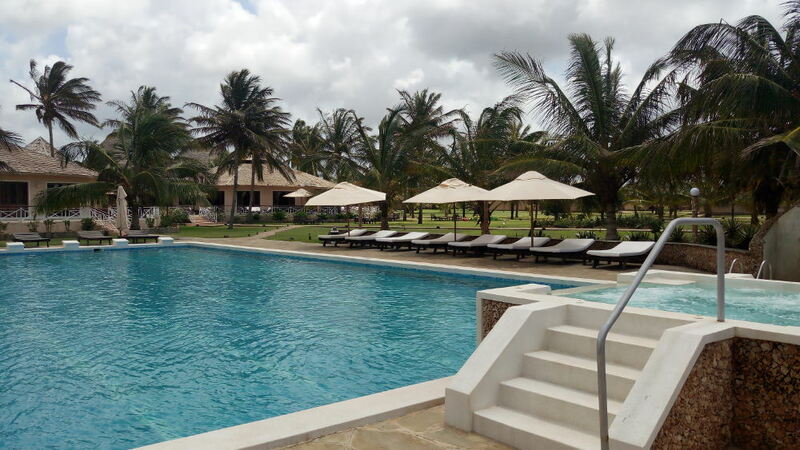 Sandies Tropical Village is the sister resort - a four star resort featuring Kenyan traditional thatched roof villas fitted with modern amenities. Guests from Dream of Africa, which of cause is more expensive than its sister hotel, can enjoy services here without additional costs, unlike if you are coming from Sandies Tropical Village to Dream of Africa. Sandies Tropical Village is more vibrant and thrilling than Dream of Africa; with various activities like acrobatic shows, beach parties, African night events and other exciting fun happenings. Tropical restaurant and Savanna à la carte Restaurant serve buffet style international and Italian cuisine and a good selection of seafood dishes respectively. WiFi here is only available at public places like restaurants and bars. Located about 20 km from Malindi town in a 15th-century village in Mambrui, Kola Beach Resort is a gem hidden within the wilderness. Set in a lush tropical garden overlooking a glittering golden sand beach, Kola Beach Resort is divided into two sections… the hotel side and the villas side. Beachfront restaurant ‘Restaurant Gold 55’ serves mostly Italian cuisine and other international cuisines as well as local foods all accompanied by a fine wine cellar. Occasionally, depending on the number of guests they organize theme nights to celebrate cultural cuisine such as Indian gala dinners or Swahili evenings. Designed like individual villas, rooms are spread around beautiful gardens offering panoramic views of golden beach front; this luxury resort creates an ambiance of privacy and seclusion. Rooms feature stylish wooden floors and elegant wooden beam roofs to help keep the rooms naturally cool, Ocean Beach Resort has 20 rooms and 15 suites. Enjoy your day swimming in a semi-Olympic swimming pool or just relaxing in the jacuzzi water pool. Have your body and mind indulge in a holistic massage at Morjana Spa. The two restaurants: Sandies Tropical Village and Victoria Restaurant specialize in international cuisine while Finch Hatton's Bar and Dunes Beach Bar offer both local and international liquor. Turtle Bay Beach is one of my favorite resorts in Watamu town. Located in front of Watamu Marine National Park, Turtle Bay Beach Club is one of the most exciting and lively hotels. Here's why I love it so much. Set in a unique and beautiful corner bordering the Indian Ocean and Mida Creek, the Swahili themed Temple Point Resort offers an amazing view of the coral reef and Mangrove forests. Its natural surroundings and beautiful gardens are both breathtaking and welcoming. Temple Point Resort is historically connected to the Gedi Ruins and was named after a worship site within the resort that was used by the Arabs slave masters to pray before they relocated to Gedi. Enjoy swimming through the beautiful coral gardens while tropical fish create rainbows of colour around you in the Watamu Marine National Park, and if it's dolphin season you will have a chance to play and swim with them. A Temple Point Sun-downer dhow cruise along the Mida creek is a magical experience offering a close-up view of different bird species, mangrove forests and memorable sunsets. Another plus point is the private beach… free from any beach vendors or unwanted interruptions. The resort offers traditional Swahili-style garden view and bay view rooms. A fascinating dining experience is their Friday African night where they do live cooking of the local foods and the catering team is in African traditional attire. Our Tip: A romantic dinner for two by the Mida creek is magical and amazing - definitely a must for you and the one you love.